The Peninsula Musical Arts Association sponsors and supports musical groups that instruct individuals in vocal techniques and music appreciation and offers to the general public education in music of diverse genres, eras, and cultures through performances at public, civic, and cultural events. The Foster City Community Chorus began in October 1992 when Fred De Boer approached the Foster City Parks and Recreation Department with the concept of forming a community chorus. With the co-sponsorship of the Recreation Department, the chorus of approximately 30 voices prepared for their first holiday concert in December 1992. 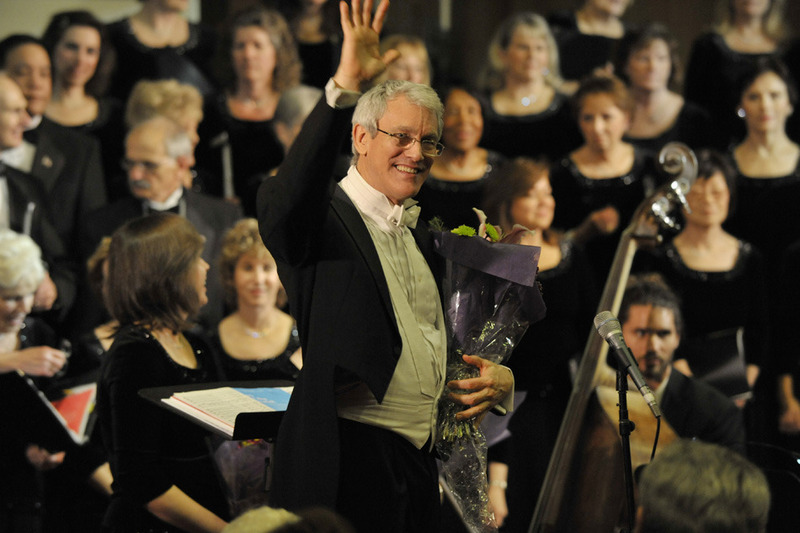 The chorus flourished, and in 1994 a smaller auditioned Foster City Chorale was formed. Under the direction of Mr. De Boer, the groups became known as one of the best amateur choral groups on the Peninsula. In recognition of its growth in such a short time, the chorale was invited to perform at the White House in December 1995. In June 1998, Mr. DeBoer lost his valiant battle with cancer, but the groups were determined to carry on his vision. The fall season began for both groups while they reorganized, and on November 23, 1998, the Peninsula Musical Arts Association became a California nonprofit public benefit corporation. That very evening the singers met and elected a Board of Directors. For over 25 years, the Foster City Community Chorus has brought music to the community. In 2018, the name of our chorus was changed to the Peninsula Community Chorus. Since our singers come from all parts of the peninsula, this name better reflects who we are. The Peninsula Musical Arts Association maintains its close relationship with the Foster City Parks and Recreation Department, which provides rehearsal and concert space but no direct financial support. Participation fees, concert performance receipts, and public donations of cash, vehicles, and in-kind services cover the operating expenses. Paul Hurst is an internationally known vocal coach, pianist, and harpist. He began his formal piano training when he was five years old and was teaching, composing, conducting choirs and orchestras, and playing piano and organ professionally by 17. He became a church organist and took up the harp at age 19. Early in his career, Mr. Hurst was privileged to perform on the harp at Caesar’s Palace in Las Vegas with Diana Ross, Sammy Davis, Jr., Ann Margaret, Tom Jones, and other stars. Mr. Hurst has directed more than 50 musical theater productions in the Bay Area and southern California, arranged hundreds of pieces for instrumental ensembles, performed concerts on harp and piano throughout the U.S., Japan, and Europe, produced a dozen of his own recordings, and led a community chorus in Los Angeles. Mr. Hurst has taught vocal technique, harp, and piano to students in the Bay Area, southern California, and Santa Fe for many years. His musical interests range from medieval chants and madrigals to Broadway, jazz, and swing. You can read more about Mr. Hurst here. Anna Khaydarova received her Bachelor's degree with honors from Tashkent State University, Uzbekistan, in 2002 and her Master's degree from Notre Dame de Namur University in 2005. In 2001 she won second prize in the Bartok-Prokofiev-Kabalevsky International Piano Competition in Redford, Virginia, and in 2003 she won the NDNU Concerto Competition and performed Prokofiev First Piano Concerto with the Redwood symphony. 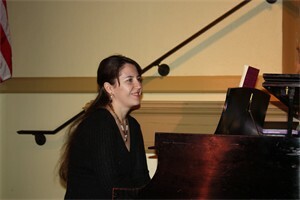 Ms. Khaydarova is Music Director at Island United Church and her private teaching studio is located in San Mateo. You can read more about Ms. Khaydarova at LinkedIn.